Assets Pry & Punish: A new Big Data mindset emerging in G2C? Governments are beginning to see the potential in Big Data in ways that differ from the commercial use of Big Data. 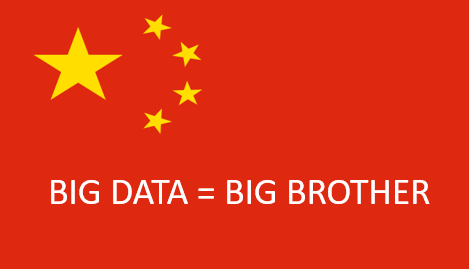 For instance, the Chinese government is implementing a Big Data system that connects social, financial, political and legal data into a social credibility rating system – a development both parties can profit from, but what about the citizens? Governments who are monitoring their citizens and their behavior can use these data-driven insights to either reward or punish them into becoming model citizens. An article in the Danish newspaper, Politiken, written by Michael Jarlner and Axel Dorloff, describes in detail how the Chinese government of the Rongcheng province is using Big Data to keep track of their people, reward or penalize them. 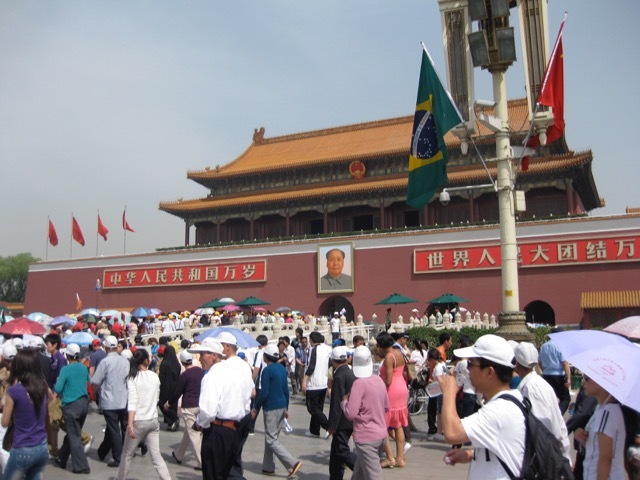 The digital Leninist system is supported by people like the Chinese president Xi Jinping and well-educated Chinese professors, who regard a social credit system as the safe way to keep the moral pillars of Chine in a solid state. In their view, it can help citizens to keep on the narrow path of virtue, while helping them to find trustworthy spouses, clients, customers, and employees. Allow us to put this into perspective: the goal is that 2020 will mark the year when all private and public databases in PRC connect. In line with the Communist thinking, citizens on a regular basis get the government’s assessment of social status account of the individual citizen ranging from the best (AAA) to the lowest ranked (D). The assessment is measured on a point scale where the individual is ‘born’ with 1000 points that can either be supplemented with more points given for good behavior or deduced as a sanction towards unwanted behavior. This assessment determines the citizen’s future opportunities and perks and is based on different types of data: fines, marital status, financial status, bank loans, age, number of children, social media posts, work place assessment, or whatever the government finds relevant to mine. Digital dictatorship becomes possible in countries where governments possess the central power, resources, and ideology that allows for algorithmic control with public data and data from commercial data giants like Alibaba, Tencent, and Baidu. But what is up and down in this Big Data development? Is this a brave new way of empowering and engaging citizen or does the development we see in China pose a serious threat to democracy and human rights? Our indirect mention of Huxley and direct resemblance of George Orwell’s dystopia of omnipresent governmental surveillance may give us an indication of an old control-fixated managerial mindset adjusting to the new digital era. Is this a super state under the control of the privileged elite party, enforced by a thought police armed with Big Data systems? A similar comparison is of the British series Black Mirror. In “Nosedive” episode 3, the society is socially controlled through an app where people mutually rate each other’s appearances and performances. If their rating drops too low, they are degraded to second-class citizens punished by being excluded from workplaces, paying the highest fees and prices, and penalized in other ways. In an article by Business Insider, they mention the consequences of a lower score. The citizen will not be considered for public office, lose access to social security and welfare, be frisked more thoroughly when passing through Chinese customs, be shut out of senior level positions in the food and drug sector, won’t get a bed in overnight trains, be shut out higher-starred hotels and restaurants and will be rejected by travel agent, and his/her children won’t be allowed into more expensive private schools. They conclude their article by stressing the irony of a system where people “kiss up to popular folks to raise their social standing, rather than simply striving to be a better person.” This Pry & Punish mindset in action could in the worst case create a culture, where the citizens lose the sense of right and wrong – which is the very. Even more worrying is the thought of governments and enterprises joining forces against the citizen. Let’s watch this mindset carefully to see where it moves.